I have to say I’m completely overwhelmed by the amount of hits my post 72 Hours of Heroin has had, as well as all of the comments that were made on the post. For days I couldn’t get on Facebook without it clogging up my news feed. Hundreds of people shared and it and 30,000 people read it! I wrote that post as my own therapy, just as I do all my posts. But this post became therapy for so many more people. Thousands of people. The comments have been so hard for me to read and even harder to reply to but I know I need to for my own therapy. Dozens of people have told me their stories with heroin. My son died, my brother died, my sister is hooked, I found my cousin dead, my girlfriend won’t give it up… It was the same story with different names over and over. I was shocked. I can’t believe how common this drug is. I can’t believe how many people are hurting so bad that they are willing to inject a needle full of street drugs into their veins. Some of the comments were from people asking me for advice. They have loved ones hooked on heroin and they don’t know how to help them. I wish I had the answers. Anyone who knows me knows that it’s in my nature to help. I will truly give you my last dollar for food, I will find you resources for therapy, medical care, housing, schooling, whatever you need. That’s just me. So seeing my boyfriend’s nephew die like this, I’m ready to take the heroin epidemic on and somehow win! Nicholas’ whole family is coming together to fight this. We want to educate others on what they can do if there is a problem but more importantly help people say no to heroin. 1. Take the time to learn about Casey’s Law. This law allows you to place a person of any age in rehab without their consent. There are some hoops to do this so read up and be prepared. 2. Understand that addiction is an illness. Just like any serious illness, it might take more than one round of treatment. 3. Look into your insurance and see what they will pay for regarding rehab. 4. If you have a known heroin addict in your life, get Naloxone (Narcan) and carry it on your person at all times. It’s not the easiest thing to get just yet but is legal, at least in Kentucky, for a non-user to have it prescribed to them. It can save an addicts life if administered quickly after an overdose. Just make sure you use it the right way. 5. Seek out a meeting. I know you are thinking meetings are for the user. Al-anon meetings can help the family and friends cope and learn to not enable the addict while still being there for them. 6. Prevent drug use by teaching your children early in life how to deal with life’s issues. Most drug users turn to drugs because something bad happened in their life that they just couldn’t or didn’t want to handle. Take your children to counseling, read books with them about coping, talk to them about different life scenarios and let them know that heroin will kill them. 7. Watch this video and share it with your family. It’s powerful. 8. Consider signing this petition to make laws stricter for dealers. 9. If your state isn’t charging the dealers for murder, share this story: Dealers Now Being Charged in Overdose Deaths, with your state prosecutor and legislators and urge them to do so. 10. Heroin deals take place everywhere – street corners, parking lots, restaurants, upscale areas, bad neighborhoods, etc. You might witness one happen. I am begging you to call 911 as long as it is safe. If you can report a dealer without putting yourself in harm’s way, please do so! 11. Share Nicholas’ story over and over again. It seems to be helping others. Many people have told me that they have used it to discuss the epidemic with their own children. I will share more with you as I learn more. Keep sending me your comments and questions and I’ll do my best to respond. I have one more thing to ask of you. We want your stories. A website is being developed to bring people together on this issue. It will be used to share stories, educate people and much more. We would like to share your stories on the website. You can post your story here or email it to chrisstegner@insightbb.com. We don’t have to use your name on the website. Just let us know if you want to remain anonymous. The stories can be about your struggles with heroin, how you are dealing with a loved one who is using, how you started using or anything at all that is associated with heroin. We might not use every story but we appreciate all that are submitted. 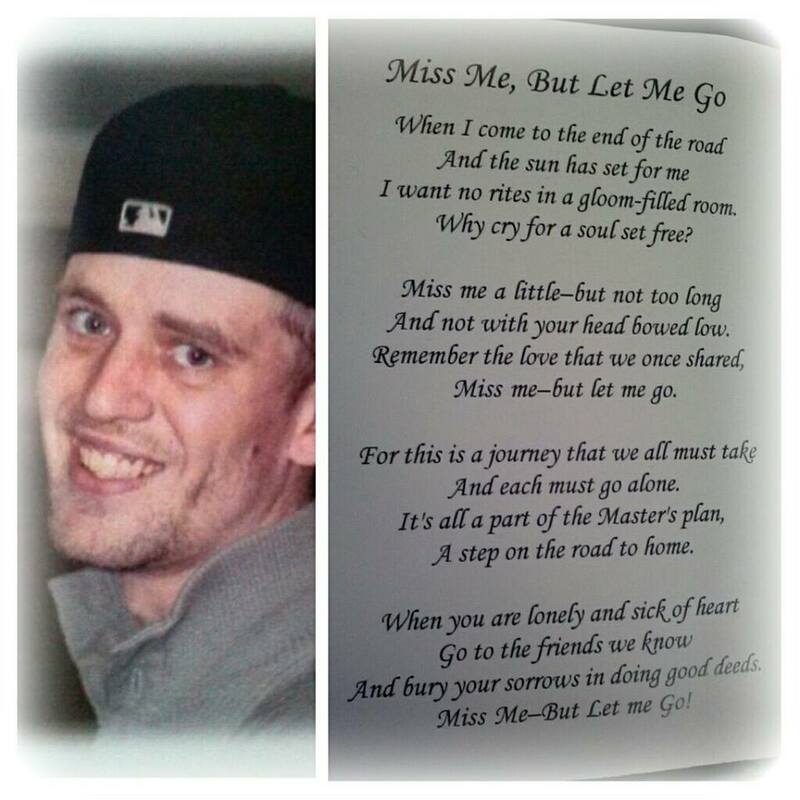 My boyfriend’s family (and I) lost a wonderful man this past week to heroin. You can read this tragic overdose story here. Nicholas Specht was always smiling. He welcomed me into the family from the first time we met. As far as we knew, he had been clean for several months since rehab. Nicholas grew up in a good town, with a wonderful christian family who cared for and loved him. He attended one of the best schools in the state. He spent the last several weeks volunteering at church with a construction project. He attended meetings every single day. We thought he was doing great. But the truth is, he wasn’t doing great. He was clean but still struggling. Nicholas had something tragic happen in his life a little over two years ago. His baby was still-born. This crushed Nicholas, as it would anyone. In a weak moment he turned to heroin. Heroin quickly changed his life. He found himself doing things he would have never done before to get this potent drug that eventually took his life. I met him when he got out of rehab. We would chat a lot. I would tell him that he needed to stay away from his old friends, people and places where he could easily get the drug. I would tell him to call me if he felt the urge and focused on just saying no. But thanks to a comment on my post 72 Hours of Heroin that was made by a medical staff member who tried to save Nicholas last weekend, I realize I was focusing on the wrong things. I also realize that repeatedly telling my children to say no to drugs is not enough. Think about it… I can’t imagine that anyone in their right mind wakes up one day and says “I think this will be the day I try heroin. I think I’ll put some crazy drug in a needle and shoot it into my body.” Only someone not in their right mind would do this. Something drives people to make this decision. Something horrible in their lives, like losing a baby. It may be chronic depression, a relationship breaking up, losing a job, feeling like a failure or something else that they just can’t cope with. So in addition to teaching our kids to say no to drugs, we have to teach them that it’s okay to come to us with their problems. It’s okay to seek counseling. That no problem is too big or too small. We have to teach them how to cope with their problems. That has to start at a young age. We can’t just baby our children and tell them things will be okay. We have to teach them how to make it okay. There are tons of articles and books on how to cope with life’s unexpected issues. We need to encourage our schools to focus on teaching kids how to cope when they preach say no to drugs. I stood at Nicholas’ grave yesterday with my 14-year-old daughter wrapped in my arms. I cried and begged her to always tell me about stresses in her life. I told her that I will always be open and will never judge her. I will get her the help she needs to deal with anything and everything. I told her my love for her is stronger than any problem she might have. I made her promise me that she would never to turn to drugs to cope with her problems. I hope and pray she keeps that promise. My 11-year-old son and I will have the same conversation tonight. Nicholas died just a few weeks after his 30th birthday. He turned to heroin in his late 20s. It can happen to anyone at any time. Heroin does not discriminate. It is cheap and easy to find. I am asking all of you to have this conversation with your children, grandchildren, nieces, nephews, friends and loved ones. Have this conversation no matter if they are 10 or 40. Please share your thoughts and comments here as our family truly appreciates reading them. And please share this with your family and friends. Heroin is an epidemic an education is the only way to crush it. 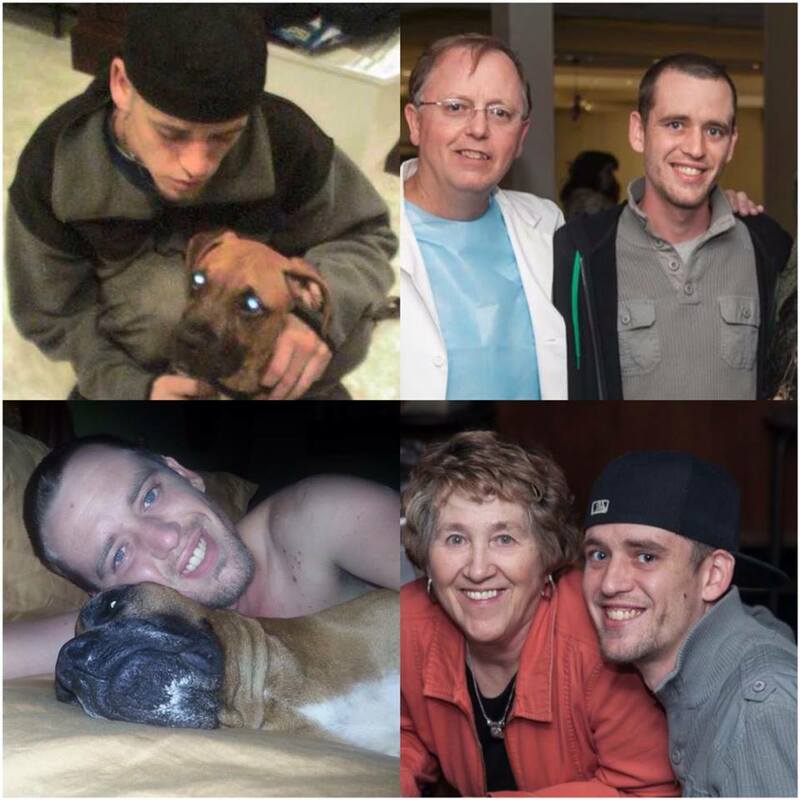 When I met Nick in March he immediately told me about his nephew Nicholas who was in rehab for a heroin addiction. I was supportive. Nicholas got out of rehab and I embraced him with open arms. In fact, Nicholas and I really clicked. We would message each other through Facebook, text and talk on the phone from time to time. He came over our house for dinner a month or so ago. We grilled out, chatted and just had a good time. We talked about his addiction a lot. He often thanked me for not judging him and being so kind. I truly thought of him as my nephew. He struggled daily but was fighting so hard. His fight ended Monday, August 12 at 2 a.m. though. I had just gone to bed and Nick was watching TV when the phone rang about 12:30 a.m. on Friday, Aug. 8. Nick came running in the room. I knew immediately by his face that something was seriously wrong and my gut told me it was Nicholas. We both rushed around getting clothes on. I was shaking. He was crying. We ran to the car and rushed to the hospital, which is luckily just a few minutes away. Family was rushing in – aunts, uncles, grandparents, church members. Tears were flowing. I held Nicholas’ hand as the nurse told me that his heart had stopped and he had to be revived. He was not conscience and was breathing through a tube. I asked what the chances were that he’d ever wake up. I knew the real answer by the look on her face but she told me it was hard to tell at this point. I continued to hold his hand and prayed for a miracle. The family took over the ER that night. We all supported each other, made phone calls and prayed. After several hours, Nicholas was moved to ICU. They told us they had to bring his temperature down to try to save him. That took about 24 hours. Then they had to start warming him up again so a CAT scan could be done. That scan would tell us whether he was brain-dead and what his survival rate might be. Saturday afternoon is when we were told there was no chance of survival. He could not breathe on his own and there was no brain activity. Although we were trying to prepare for this since early Friday morning, it was heart wrenching to hear. I truly can’t remember a time in my life feeling that much pain. The only thing that comes close is when Joey was diagnosed with LCH. I have lost several family members but never to something this tragic and never anyone this young. Nicholas was only 30 (read his obit). 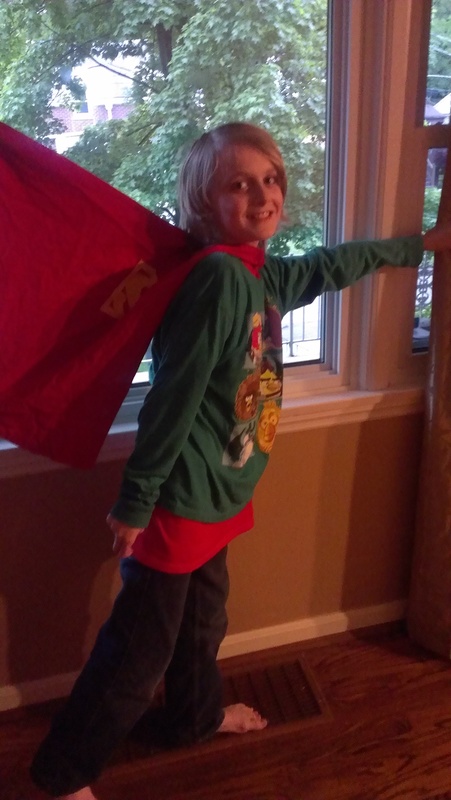 Not long after receiving the diagnosis, we were told that he was an organ donor and that things would be prolonged because we had to find matches and fly surgeons in. This honestly caused mixed emotions. We were all thrilled Nicholas’ heart and other organs would live on. But it did mean spending more time in the hospital and postponing closure. We were told that it would probably happen around mid-afternoon on Sunday but that time-frame kept getting postponed due to finding the right match and surgeons getting there. Around 7 p.m. they told us it would happen at 2 a.m. We decided to go have dinner as a family and return to the hospital around 12:30 a.m.
Just over 72 hours after that initial phone call each one of us took a turn saying goodbye. Stories about Nicholas were told, favorite things about him – like his smile – were reflected on and many tears were shed along with the question “why?” being repeated over and over. I held his hand, kissed his forehead and repeatedly said the Serenity Prayer: God grant me the serenity to accept the things I can not change, the courage to change the things I can and the wisdom to know the difference. I told him I loved him, that it was okay to leave us now, that his struggle was over and that I would miss him terribly. Yes, part of me wanted to scream “why the hell did you do this to us?!? Why would you do this to your parents? You were doing so good. Why didn’t you call me?” But there was no sense in that. I’m betting a heroin addict doesn’t know why. He didn’t want to hurt us. Nicholas loved everyone. He loved life. His smile showed it. Nicholas’ death was senseless. In a weak moment two years ago, after a horrible tragedy in his life, he said yes to heroin. One time and boom you are addicted. He struggled with it ever since. He had been clean but one night let heroin win his fight. We believe he did his “normal” dose, which his body couldn’t handle because he had not been using regularly. He overdosed. His poor father heard a crash in the bathroom and found his son laying in his own vomit and was not conscience. His parents had to watch as EMTs loaded him in the ambulance doing CPR and trying to save his life. His parents, aunts, uncles, cousins, grandparents and friends spent 72 hours in the hospital hoping and praying for a miracle. A miracle that we never got. When I finally got home and saw my own children I hugged them both and sobbed. I begged them to promise me they would never try heroin. I told them all about Nicholas and the last 72 hours. They both cried with Nick and me. They both promised they would never touch it. I will remind them of that promise at least weekly for the rest of their lives. Dealers will give heroin to kids, adults, boys, girls, poor people, rich people, white people, black people and anyone who will take it. Heroin does not descriminate. They will even give it to you for FREE the first time because they want you to get hooked and then pay. And believe me, you will pay. You will pay with your life. Luckily Nicholas has a huge supportive family who loves each other very much. We are not going to let Nicholas’ death be senseless. We are going to tell his story over and over. We are going to find a way to educate today’s youth and families. We are going to fight heroin and find a way to win! We hope you will join our fight. As of 2009, 100,000 people were dying from heroin use each year. It has been estimated that 6,500 die each year from heroin overdose. You can learn more about heroin here. Our family will have a website up soon called www.NKYHatesHeroin.Com. Do you know someone hooked on heroin? Have you lost someone to this horrible drug? Are you ready to join the fight against heroin? We’d love to hear your thoughts. Please comment here. It’s that time of year again… My children are too old to deal with this now but I saw hundreds outside their middle school last night and the posts on Facebook so I wanted to share again. 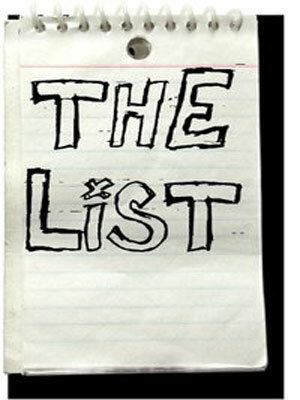 Parents, including me, take pictures of “the list” so they can remember who is in their child’s class and talk to all of the other parents about it later. Many of the kids don’t even ask who their teacher is; they just want to know who is and isn’t in class with them. The kids even check to see where other kids ended up. I wrote a post once called The People We Met Along the Way . It was all about the incredible people we have met who have helped with Joey’s Histio journey. In that post I thanked random people who heard of our situation and decided to help us by finding us a stair lift or a ramp. The local magic shop that took the time to meet with Joey. A former teacher of mine who stopped by to do chemistry experiments with him. I thanked the medical staff at Cincinnati Children’s Hospital, Circus Mojo for entertaining us in the waiting room and all the others who have made this journey easier. I wrote that post seven months after the diagnosis and surgery. And here we are almost 16 months post surgery and I find myself being thankful again for so many things. I am still thankful for all of our friends and family who have gone above and beyond, as well as the new people who came into our lives and helped us in some way or another. But so many other people and things have entered our lives, making our journey easier, since the day I wrote that post. Most recently, it was a thing that made me thankful. Joey basically suffers from post traumatic stress disorder now. Histio is so serious and unpredictable that Joey constantly fears it will return. So we have been going to counseling at Children’s Hospital. Joey’s counselor is a wonderful woman who seems to be making headway with Joey. But counseling is hard. It brings up a lot of emotions and memories that Joey (and I) don’t really want to deal with. All three of us were immediately drawn to it. We couldn’t stop talking about it. We spent at least 10 minutes looking at it, finding all the different characters and discussing the amount of time and creativity that went into this. About halfway through our discussion I realized Joey was no longer upset. He was smiling, laughing and enjoying our conversation. 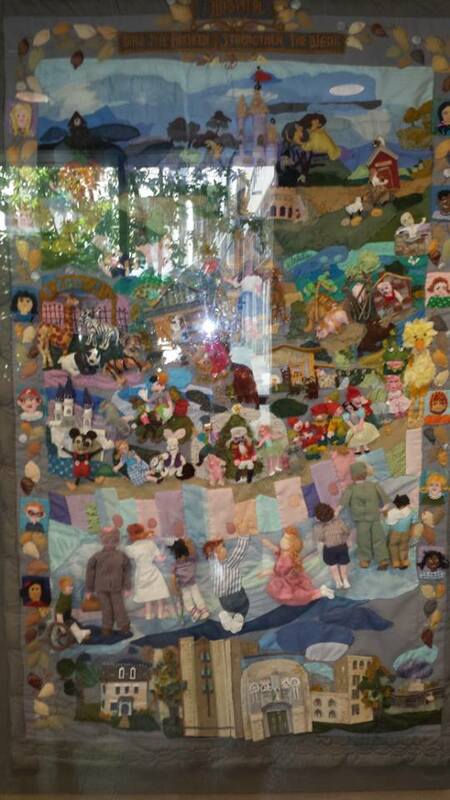 I wonder if whoever made and donated this quilt had any idea when they made it how it would impact the lives of the families at the hospital. I hope to find a way to let this person know how it effected our lives. P.S. If you are not following us on Facebook, you should be!